Reliable equipment at reasonable prices. 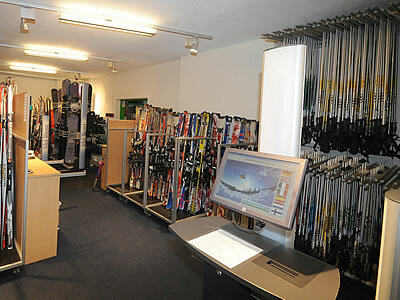 Everyone can feel at home on these skis and have a great time on the slopes. Performance skis for those who are looking to improve. Top standard equipment for demanding skiers. The latest skis from top manufacturers for test and expert skiers. Skis designed by the same manufacturers as our full adult range - but at shorter lengths and built to match the different body mass of the older child. Suitable for ages up to and including 14 years of age. Children's skis have changed a great deal over recent years - we've got the latest technologies to ensure your child's first turns are as easy as possible for them. Suitable for ages up to and including 6 years of age.